In romantic Paris, cruises are available to take you down the Seine as you admire the picturesque city passing by with a nice glass of French wine. In Melbourne, with the love lock bridge growing in popularity, it’s nice to feel a hint of that Parisian romance in our own city. 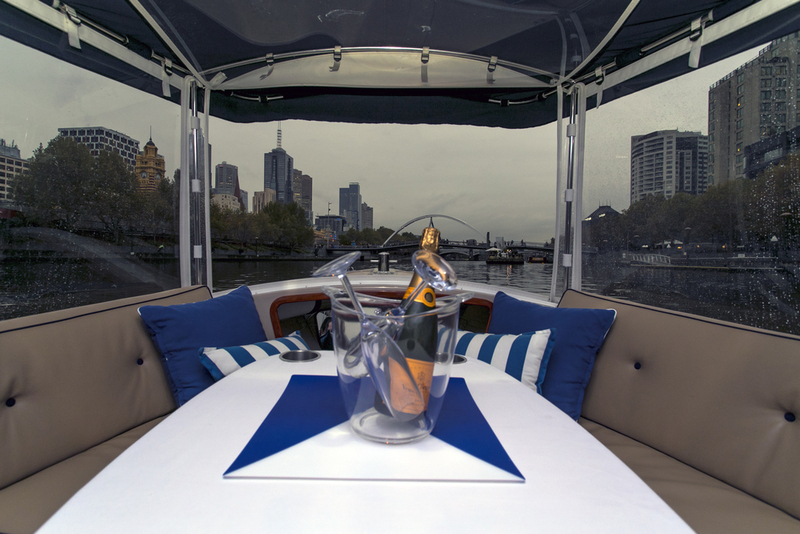 To add to that, we now also have cruises available to take us down the Yarra alongside our gorgeous city on smooth, quiet vessels from Melbourne Boat Hire. Every Friday, Saturday and Sunday night you can climb aboard a whisper quiet, eco-friendly, fume free boat for up to eight people, and enjoy one of the best perspectives of our city you can get. Cruises depart every 90 minutes from 5pm and each journey comes with a complimentary bottle of Australian sparkling wine plus other drinks available on board. You’ll travel from South Wharf, along the Yarra and past the city, upstream to Punt Road Bridge where you’ll turn around and return again. Only individual bookings are taken which means the only people on your cruise will be those whom your booking is made for. Of course, that also means whether there’s two of you or eight of you the price of $249 for the hour long cruise is the same - but you’re assured of an intimate affair making it ideal for special occasions or to enhance a pre or post night time dinner or event. I’m going to be trying it myself this coming Friday as a guest of Melbourne Boat Hire and can’t wait to see the city from the water (I love being in, on or near water). No doubt you’ll see some shots of the city and river coming your way via Instagram – I’ll try not to go overboard (boom tish). In the meantime, you can check them out and book online at www.melbourneboathire.com.au or call 1300 988 309 to chat about their services.